I love pizza, flatbread and basically anything with an Italian flavour. Add mushrooms and garlic to the mix and you’ve got me hooked. 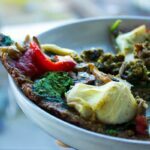 This Superfood Funghi Flatbread recipe combines many of my favourite ingredients: artichokes, mushrooms, spinach, olive oil and tomatoes. It’s really delicious and is a complete meal on its own. It’s a rather different take on a traditional flatbread, in that the base is made of sunflower seeds and buckwheat groats. I promise it tastes MUCH better than it sounds though! It’s seasoned with herbs and nutritional yeast and baked until crispy, which makes it extra tasty. If you have one, I find using a cast iron pan for this flatbread works really well, as it gives the bread a crispier finish. If not, a regular baking sheet will work fine. A pastry brush also comes in really handy for brushing on the sauce, but again isn’t essential. This dish is pretty filling, due to the high protein content (sunflower seeds and mushrooms), and the flavours are well-balanced, so I haven’t added any plant-based cheese. Feel free to do so if you wish though! 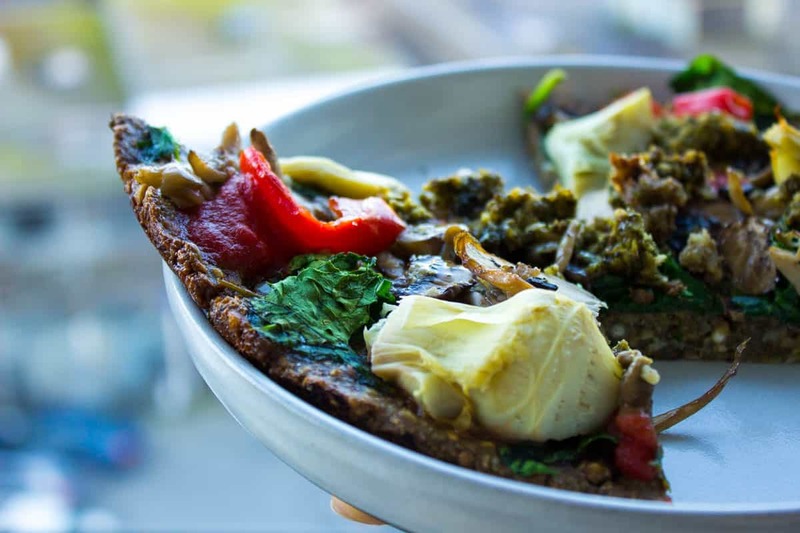 A healthy twist on a traditional pizza, this vegan, gluten-free superfood funghi flatbread combines garlic mushrooms, juicy tomatoes and artichokes. Preheat the oven to 325°F/165°C. 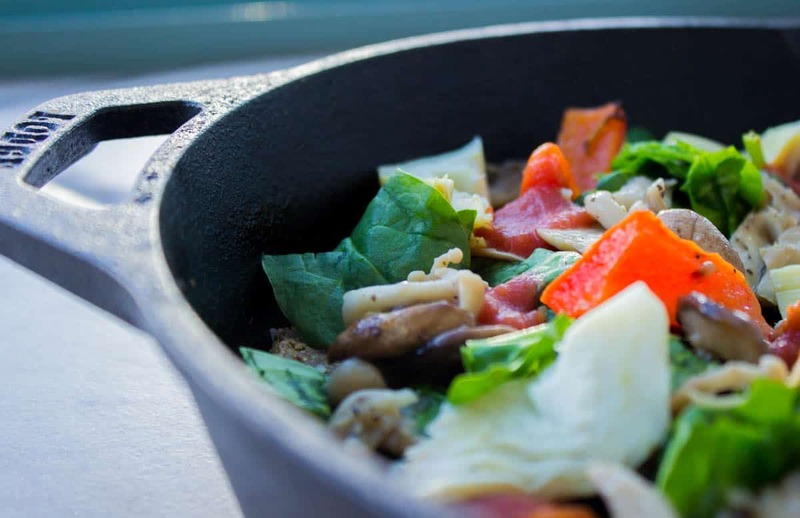 Line two 22cm circular, non-stick baking pans with baking parchment (if you're using cast iron pans, skip this step - the cast iron should be non-stick). Blend sunflower seeds and buckwheat groats in a high-speed blender or food processor until they are flour-like. Pour the flour into a large mixing bowl. Add all remaining flatbread ingredients to the large bowl and mix thoroughly with a wooden spoon to form a dough/paste. Divide the mixture into two balls and press each into the baking pans. You are aiming to form a 1cm flat ‘pizza’ type base. Bake the bases for 20-30 minutes in the oven, until the tops are firm and just slightly golden. Remove and set aside. While the bases are baking, make the sauce by blending the olive oil, oregano, garlic and salt for 30 seconds on a high setting. For the toppings, sauté the mixed mushrooms on the stovetop for 5-10 minutes in 3 tbsp of the garlic/oregano sauce, until they are softened. Add pepper to taste if required. Using a pastry brush, now apply a generous layer of sauce to the cooked flatbread bases. 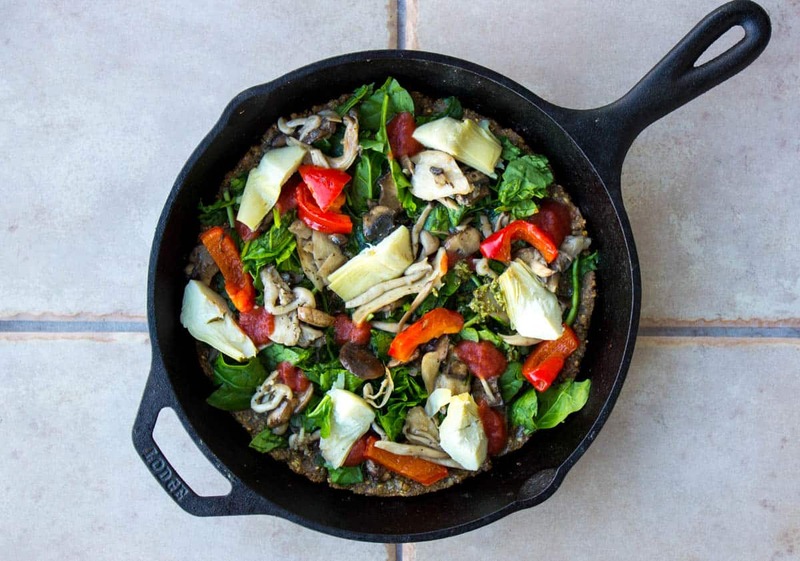 Scatter each base with the sautéed mushrooms, artichoke hearts, tomatoes, peppers and spinach. Season to taste with salt and pepper. Return the flatbreads to the oven for a further 15 minutes until the spinach is wilted but not burnt. Remove, drizzle the remaining sauce evenly over the flatbreads, slice and serve!